*Only available on Lake Land College, Mattoon Lake, Union Center, Sullivan, Neoga, Fairgrange, Ashmore, CMEC & Charleston towers. See Coverage Area for more information. Call CMEC for larger option if needed. There is a one-time basic installation of equipment charge of $99. Basic installation consists of a single wired internet connection to computer or router. Up to 150 ft of CAT5 cable is included. The installation of mounting poles and trenching services, if needed, will be at an additional charge. Your first bill will have charges for the extra equipment purchased (router, extra cable, surge protector, etc.). Your first bill will include a prorated charge for service for the partial month to which you entered into. Is service available where I live? CMEC Connect service covers approximately 90% of Coles-Moultrie Electric Cooperative’s service territory. I live in a wooded/secluded area – can I still get service? CMEC Connect is line-of-sight wireless broadband internet. So trees and terrain-challenged areas may not be able to receive a signal even though you may fall within our service area. A technician can go to your location prepared to install CMEC Connect and if the location is inaccessible, there will be no charge to you. Can I purchase a router through CMEC Connect? Yes. Routers are $60 plus tax. Yes. CMEC Connect subscribers must sign a 24-month contract which begins on the date of installation. Possibly. Contingent upon a credit check, the possible deposit of $100 would be due prior to installation. Is there a maintenance plan to cover repair and/or replacement? Yes. CMEC Connect offers a maintenance plan for $5 per month. The maintenance plan covers repair and/or replacement of CPE (customer premise equipment) and service call fees only. (A new CPE is $479.00 plus tax, and service calls are $75.00 per visit.) Any added equipment you may have, including a router, is your responsibility and will not be covered under this plan. In addition, service calls needed due to an operator error or subscriber equipment (hardware or software) problems will not be covered under our maintenance plan. CMEC Connect owns the CPE. Who do I send payments to? CMEC Connect billing statements will be sent by Coles-Moultrie Electric Cooperative. Payments will be made to Coles-Moultrie Electric Cooperative. Payments may be mailed, dropped off at the main office in Mattoon, paid online through the CMEC website, or set up for reoccurring payments via credit/debit or checking/savings. What kind of computer operating system will I need to be compatible with CMEC Connect? An operating system of Windows ME or newer is needed. Mac operating systems are also compatible. Who will I call for technical support and when can I contact them? CMEC Connect technical support is available Monday through Friday, 7:30 am to 4:30 pm, excluding holidays. If a customer service representative is not available upon first call, please leave a message and your call and concerns will be addressed promptly. If technical support is needed outside of business hours, please leave a message. If I am not satisfied with CMEC Connect, will I be able to break my contract? We encourage prospective subscribers to visit our office at 104 Dewitt Ave. East, Mattoon, IL to take a test drive of the broadband service before scheduling an appointment. Once the equipment has been installed, you will be responsible for fulfilling the service agreement of 24 months. What if I want to switch internet providers and haven’t fulfilled my CMEC Connect contract? Customers will have the option to buy out of their service agreement at a prorated fee dependent upon the amount of time they have maintained service. An early cancellation fee may also apply. Does an early termination fee apply even if I move and can no longer receive service? In the event you move, you will be asked to submit proof of utility service in your name at a new address outside of the broadband network. In this instance, and only in this instance, Coles-Moultrie Electric may choose to reacquire the CPE installed at the previous location in lieu of fulfillment of the contract. A $100 early termination fee will apply. I own a small business. Can I subscribe to CMEC Connect and how much will it cost? Yes, we encourage business owners to contact our office as the standard information may not apply. Increased bandwidth is available and will be priced accordingly. Recommend CMEC Connect to a friend or family member and get one month of free service! And, there’s no limit as to how many times you can take advantage of this promotion! Just signing up isn’t enough, though – the account has to go active. So, hurry up and start telling everyone about CMEC Connect. You’ll love it even more when it’s FREE! Going back to school? Show us a valid college ID and the install fee will be waived. 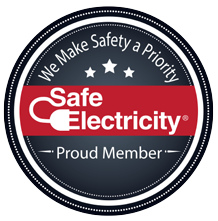 Are you a new member of Coles-Moultrie Electric Cooperative? If so, sign up for CMEC Connect service and your install fee will be waived. All CMEC Connect subscribers must sign a 24-month contract which begins on the date of installation. Click the link below to access the contract.